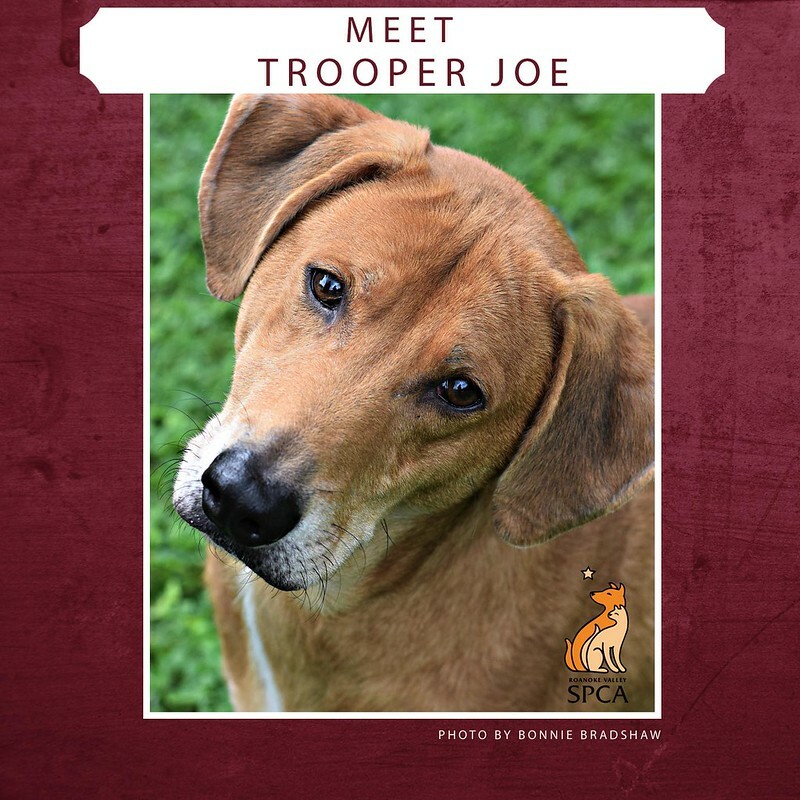 Meet Trooper Joe, who currently is in the care of the Roanoke Valley SPCA. He is a 5 year old Lab/Hound mix who suffers from severe, debilitating Hip Dysplasia. Joe needs hip replacement surgery. If not, his quality of life will diminish, and at some point his pain and suffering will have to be ended. Each hip replacement costs $4500 (a total of $9000), and will be performed at Virginia Tech. Joe has passed all the behavior testing to demonstrate he is an optimum candidate for the surgery and rehabilitation. Save a life and get a session-help make the New Year bright for Trooper Joe!